Boxed, DVD Video, PAL Multizone, 5.5 x 7.5 in. 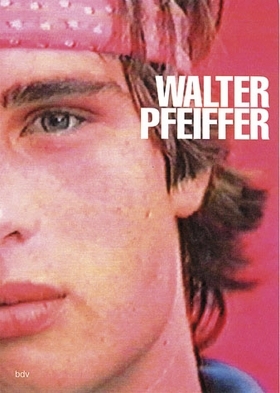 Walter Pfeiffer began practicing photography in the 1970s with no technical ambition, but with the will to provide a new visual vocabulary for beauty, eroticism and freedom of spirit. His work gained its initial recognition through an underground network of admirers, and today it has achieved cult status. (In a 2003 Artforum review, Bob Nickas wrote: 'Imagine an optical device designed to project--and then to trace--a virtual image of desire onto the plane surface of everyday life. That would be Walter Pfeiffer's libidinal camera lucida. Since the late 6os÷Pfeiffer has sought (and caught) images of youth and beauty as if on an endless quest, the avocation of entwined hedonism and reportage its own reward. And ours. ')Over the time that Pfeiffer spent exploring the sexualization of the everyday in that work, he also directed several videos showing his friends hanging out in his Zurich studio. For the very first time, these rare and funny scenes, Music for Millions (1977) Kawasaki Cut (1985) and The Plaza (1985-2001) have here been compiled on DVD. Their release provides the occasion to reassess Pfeiffer's pioneering positions both in contemporary art and in the culture at large. Text by Martin Jaeggi, Michelle Nicol. FORMAT: Boxed, DVD Video, PAL Multizone, 5.5 x 7.5 in.